Full calfskin tight-back binding with laced-in boards, sewn on raised cords with handsewn silk endbands, marbled paper endsheets by Pam Smith, top edge colored with acrylic, Cambridge panel with goatskin onlay, label stamped in 23K gold foil. 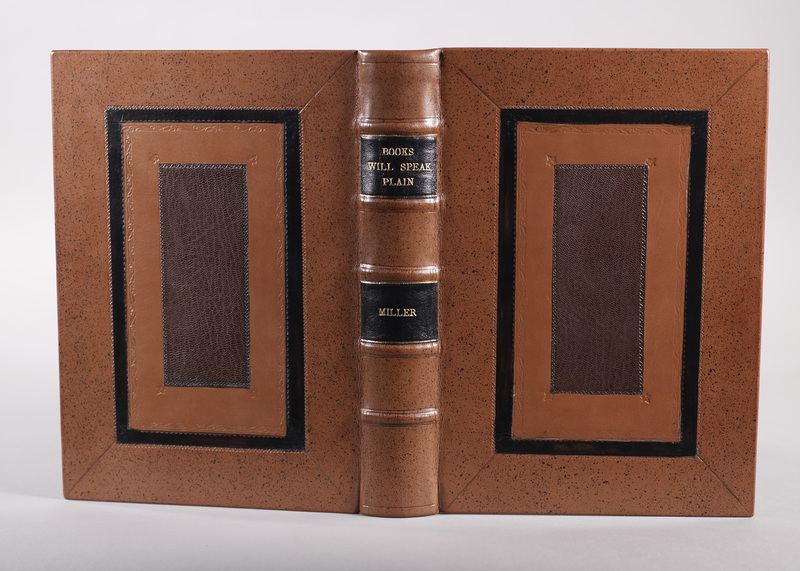 Robert Hanmer has always liked books and now bookbinding which he’s been studying for more than 10 years. Employed as a software architect he has also written two technical books.